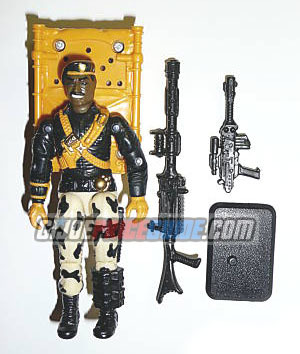 NOTES: Version three of Stalker was part of the Talking Battle Commanders GI Joe group and came with a talking backpack. There are buttons on the backpack that say words or phrases when pushed. The backpack can be removed by removing the screws holding it in place.